This section is about the various joystick and arcade project I've own and worked on over the years plus 600dpi scans of some arcade manuals I have and lots of Konami Windy II photos when I done the strip, clean and rebuild. I finally got around to looking into the issue with the second home made Supergun and have concluded the original PSU doesn't work, I had a spare PSU I bought from Japan a few years back, fitted that and all is now working. 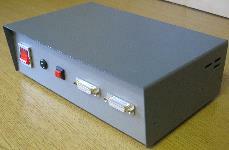 25 years in the making and it's finally finsihed, see the Supergun section for all the details. Looks like I may have to start on version 3 now. Added a scan of the Windy II Flyer. 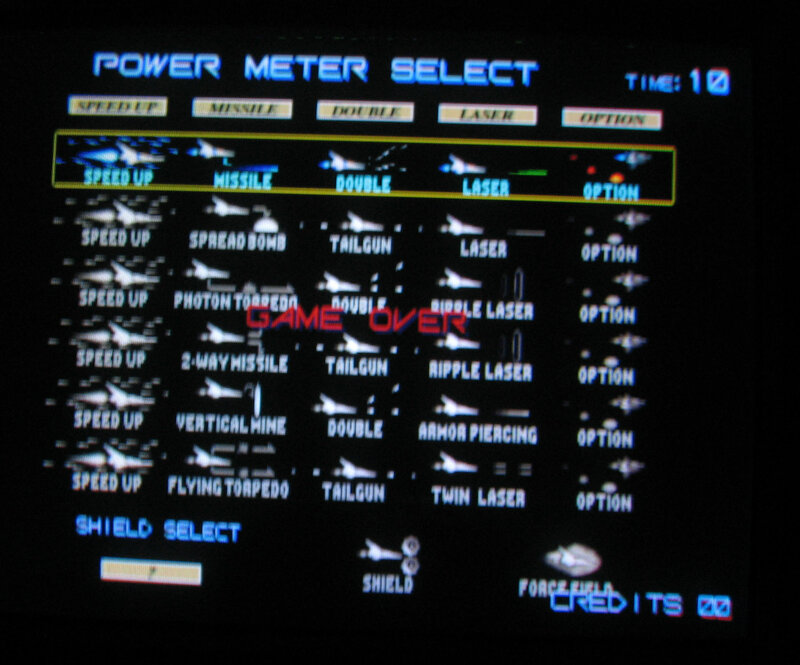 Also added version 8 of Gradius Corner pixel art. Two new shoot'em-up arcade boards added to my collection. Trigon (Konami) and Side Arms Hyper Dyne (Capcom). Side Arms Hyper Dyne is in superb condition with the original instruction card and operators manual. I've started to add photos of the arcade boards I own including all the artwork that comes with them. 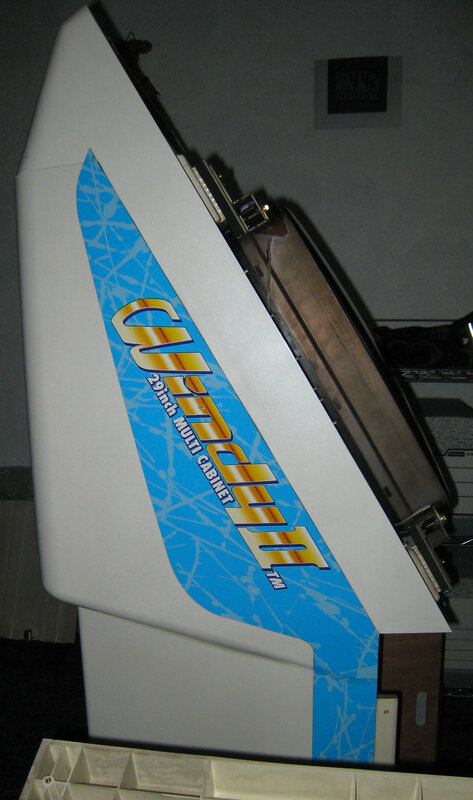 The Konami Windy II rebuild is now complete, see that section for more finished images. Trivia:- That plastic lobster is over thirty years old!!! After acquiring the Seimitsu LS-33 and Seimitsu LS-55 springs I decided to test their strength on a spring testing machine to show the differences between the three springs. The machine is essentially a press with a set of scales on the bottom, as the spring is compressed the scale is deflected by the power of the spring giving a scale deflection weight in grams. At least this gives you an indication that the Seimitsu LS-55 spring is 50% stronger than the Sanwa JLF, this make the joystick less slack and better for the type of games I play. I've translated the Wardner no Mori Service Instructions, finally I know what all the DIP Switches setting do, this game has no Free Play option so I guess I'm going to have to get some more 20 pence pieces. The Game Manual is going to take a little more time to do as there's a lot of Japanese. The Windy II PSU and rear exhaust fans have both been replaced with Noctua NF-B9 92mm fans, nice and quite now, also added some translations for the rear panel outputs. Game Manual and Service Instruction, I will try to translate some of these later in the week (especially the DIP Switch settings). The Game Manual is five pages and looks like instruction on how to play the game as well as the game story, strange as only the arcade operator would see this. 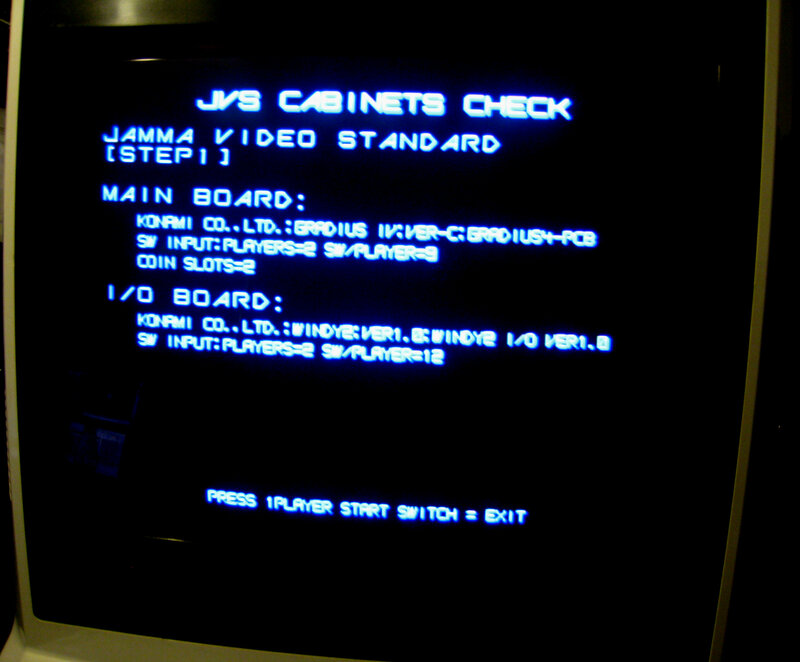 The Service Instruction is just standard JAMMA pinouts for controls and DIP Switch settings. I wanted to know what some of the manual said about setting to boards to Stereo Sound, so I just spent a few hour translating it, I then thought I would make an English version of the JAMMA - JVS Conversion Kit from Konami manual (I say manual, it's only two pages). Only page 1 done at the moment, should get page 2 done soon. Just finished page 2, also edited page 1 a little bit more. I decided to move the Konami Arcade Machines section from Gradius Home World to here under Arcade Information. Monitor install complete, all connections have been checked and the machine fired up first time with no issues. I have some new buttons (as they are the wrong colours) and some quiet fans on order so it's not quite done yet but at least the machine's now playable. I've also added 600dpi scans of the JAMMA to JVS instruction sheet and some 600dpi scans of the Operator's Manual, I planned on scanning the complete manual but scanning is such a chore I'll do the rest at a later date.. 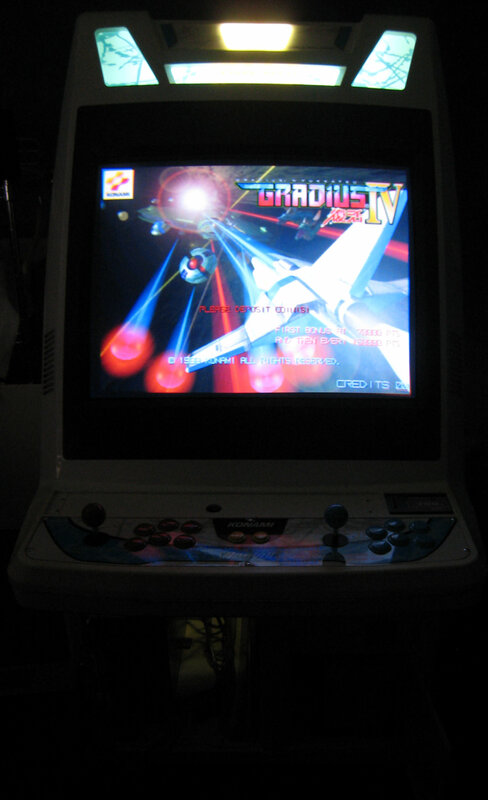 Here's Gradius IV ~Fukkatsu~ (グラディウスＩＶ～復活～) playing on the more or less completed machine. 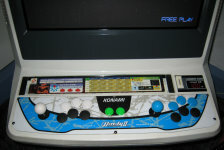 More images added for the Konami Windy II rebuild, onto the tricky bit now - the monitor install. 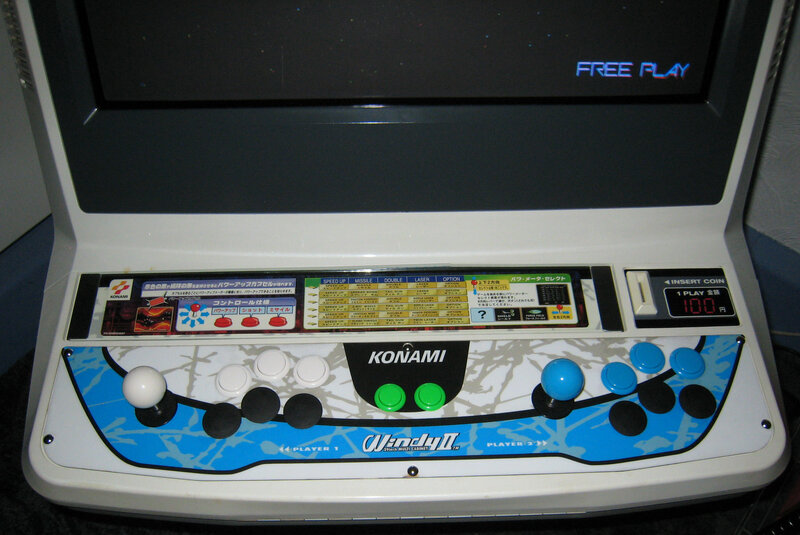 More images added for the Konami Windy II rebuild. It's going a little slowly at the moment due to Maplins not having the Spiral Wrap I wanted. I now have Spiral Wrap so the wiring wrapping should be completed soon, with Easter this weekend I should be able to crack on and maybe even get the thing finished. The Konami Windy II section is getting a lot of updates in no particular order. Added lots images of the Toshiba Remote board and Konami JVS boards that may be of interest. I've also started the machine assembly, not a lot at the moment (only wheels and feet) but it's a start. 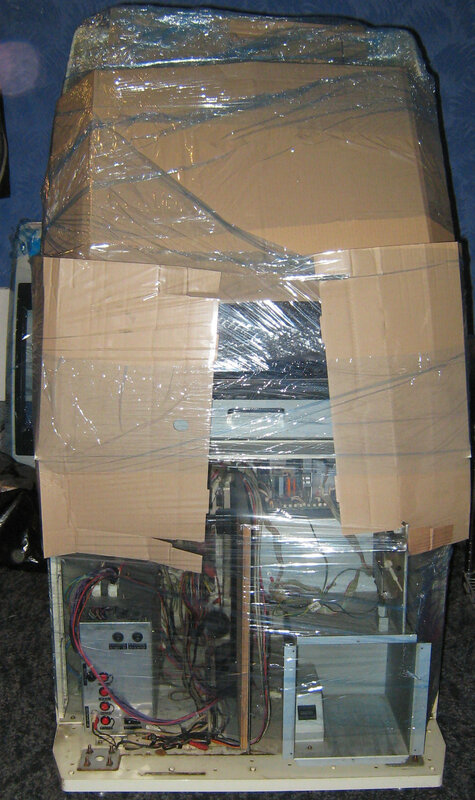 I've started a tear down, clean and restoration of my new Konami Windy II machine I just acquired. I've just bought the largest and heaviest Konami item ever, more info soon. Also tweaked a few bits here and three, removed dead link in the Links section and added country information for the shop. I've remade the Wonder Boy JAMMA conversion loom as the one I had with the game was a very poor quality loom which was causing more problems with the game. Also made a second joystick for the Supergun using a beat up and rusty Hori Virtual Fighter 4 PlayStation 2 joystick, this thing must have been stored in a lake or something, not the best I've made as the joystick and buttons are not arcade spec but it's better than nothing. Moved the current project page around a bit, finally sorted out what buttons and joystick directions are on my JAMMA loom. Modified the original Super Gun to have Coin Switch 1 (or 2), Test and Player 2 Start on the joystick rather than the Super Gun as I had three connectors spare on the Joystick loom. 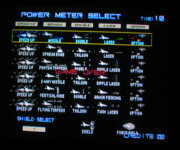 I may start work on the second Super Gun that never powered up to see if I can find out what the problem is. Added some bits of information and colours to the Current Project - GameStone's Arcade section. Modified the site style to make the text more readable, increased the site width slightly, modified all the pages to HTML5 and CSS 3, also added some new links. 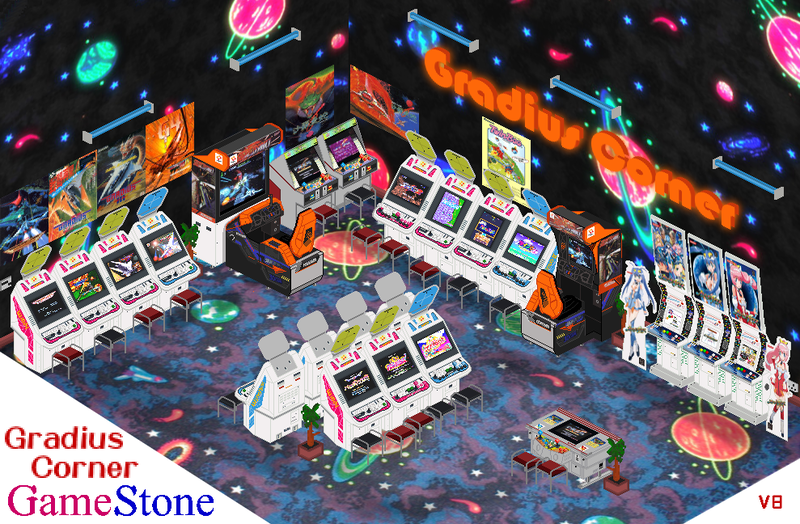 Changed this section logo to included some arcade machines (Konami's Windy (1 Player) and Windy II (2 Player) with horizontal monitors drawn by GameStone), if you're interested, I've drawn all the views on my art page of Gradius Home World. Added my mint condition XEXEX to the collection page. Also updated the Links section with some new links. Changed the name of the Arcade Machines section to Arcade Information, also split the section into three pages as it was getting a little too big for one page..
Added lots of information on the Gradius related games for running then in stereo. I've found a source for the JST Stereo out connector and ordered some of them. 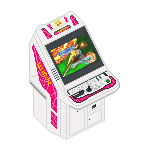 Added quite a few images to the Arcade Machines Section of the various project I've been involved in over the years. Updated lots of info about the various stereo audio games in the Arcade Machines Section. Opened a new section called Arcade Machines, this lists all the machines I've owned and still own over the years. I've decided to add some new information to this section about the various arcade machines and PCB's I've own over the years. This will be expanded when I get around to it. 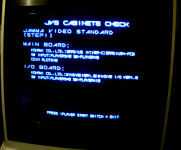 Started a new project for a home arcade system for JAMMA based games called GameStone's Arcade. Added the in process images, the project is now complete and onto the next. Sorry for the lack of updates but things have just started to progress very quickly and over the last two weeks the project has been completed, I'll be added some pictures and in process information this weekend. Here's a quick image of the completed project. Added wiring colours and joystick ribbon cable pinouts. The parts I've ordered from Japan have been sent, including small M4 Coach Bolts for the Joystick mount and a second joystick with a Vermilion coloured ball. More images and informational progress added to the new section. It's taking longer than expected but the project is still moving forward. Change the layout and generally cleaned up this section. After the hassle of working with wood I've decided to go back to metal for the new project.